I really wasn’t all that impressed with this roll-out. I usually find one piece that is a must-have but this roll-out didn’t have that. I did add a few items to my wish-list for when they go on sale. There’s no change in sizing on the Tippi Sweater. I still take my normal Medium though it is fitting just a little less snug in the arms. I always find the Tippi bunches around the underarm just above my chest. Anyone else? 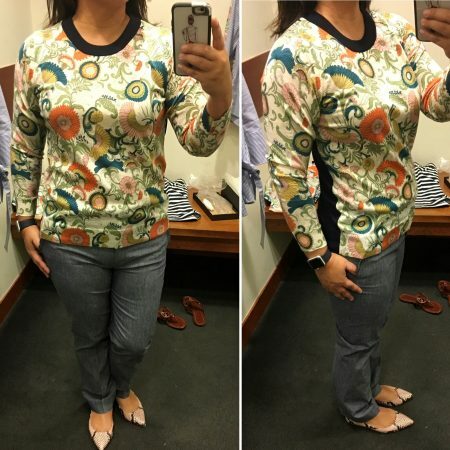 The front and sleeves of this Tippi are printed in the Ornate Floral while the back and neckline are navy. 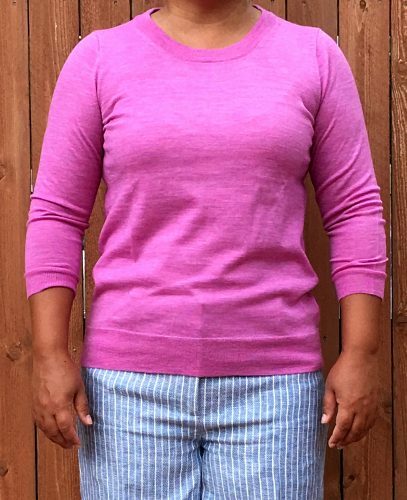 Despite the description saying this is a 27-inch sleeve sweater, this is really your standard 3/4-sleeve Tippi. I still cannot put my finger on why I’m not a fan of this print. The colors are pretty but everything in this print is going to be a pass for me. 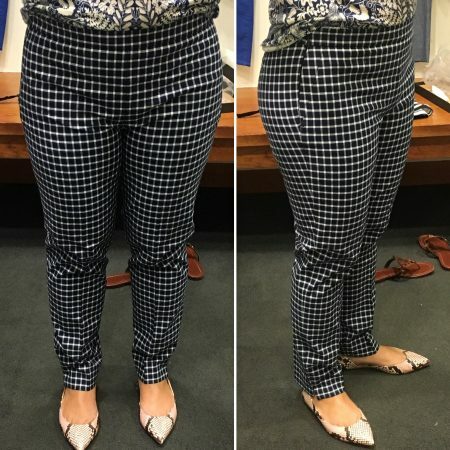 Like 99% of J.Crew’s cropped pants, these are standard length on me so Petite sizing would be better for me. These did seem to run a little snug across the hips. I could sit down but would prefer a little more room. The ruffle is at the top of the waistband and the edge of the pockets. You’ll have to tuck in your shirt to show off the waistband ruffle. Personally, it’s a little much and I would have just preferred the pocket ruffle. These are also offered in Solid Chino. I do think the Chambray will be a hit for quite a few people. The waist isn’t too high or low and though this is a slim fit, the fit is still really good in this material. Not sure how it will feel or look in the solid chino. I really liked this entire outfit. 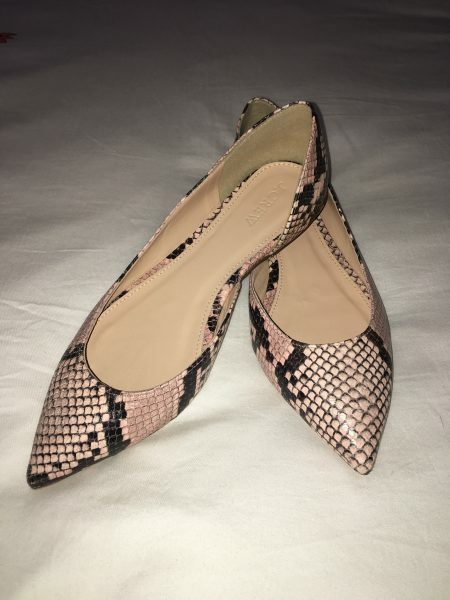 The contrasting print of the Tippi and Martie with the light pinky coral of the Audrey Flat just works. 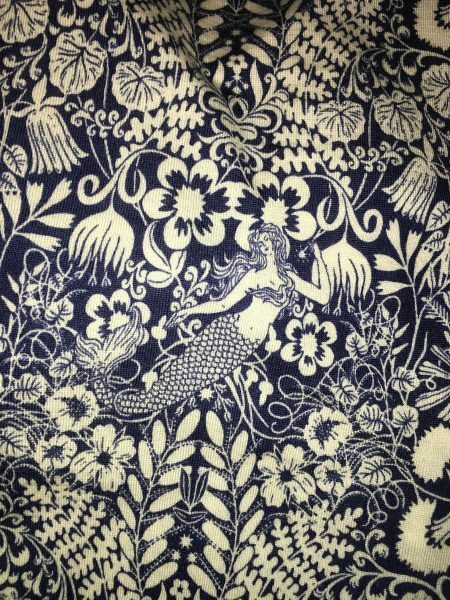 I wasn’t sure if I would like this Mermaid Print but once I saw it IRL I really thought it was cute. The mermaid does hit you right smack in the center of your stomach though. The ruffle may need a little steaming after being dry-cleaned to lift it up a little, unless you prefer it to lay flat. I think with this print, the ruffle is a little much but people will love this one too. This comes in a popover, short and bandana, which I think would be really cute for Spring. 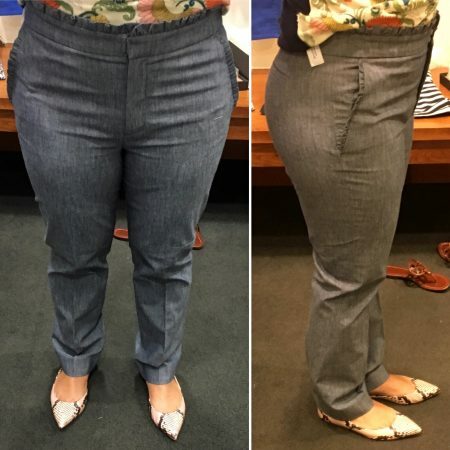 The Martie Pant has not fit me in a size 8 since they first came out. 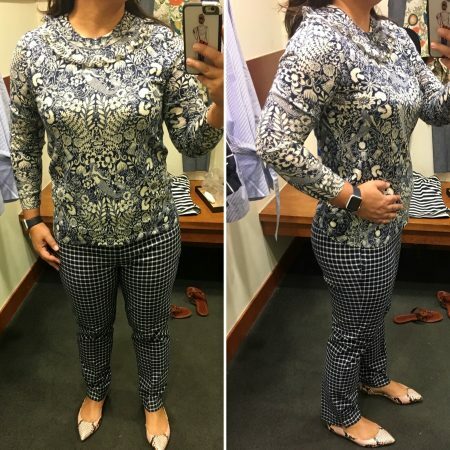 I prefer the old Cafe’ Capri pant but the Windowpane fit really well in the size 8. The material is slightly thicker but not quite Winter-ish. It’s a great transition into Spring. I would have to get a Petite size to crop them. The hem has a notch that I would lose if I had these hemmed. These are definitely wish-listed. I saw a hint of these in the Style Guide and couldn’t wait to see the full view of them. The color is a light pink/coral and not a color I would normally gravitate to but I do prefer it over the suede and Liberty print. 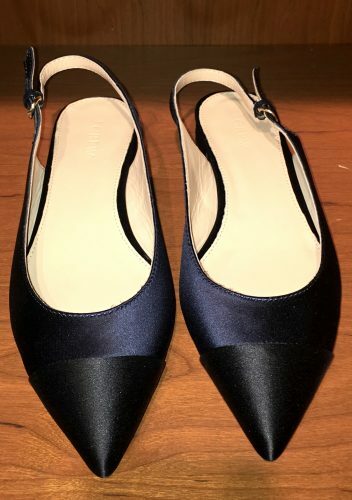 I found the size 7 to be the best fit, even with the pointy-toe and D’Orsay style. 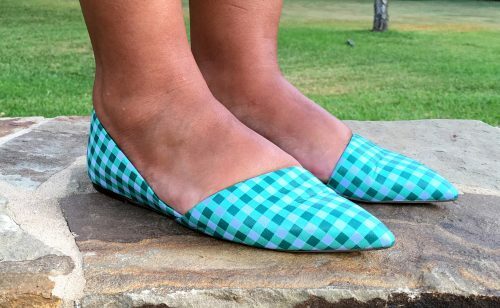 This is a completely flat shoe with no arch support. I can still walk around for hours in a shoe like this but try not to if at all possible. The sweater promo is still going on through Wednesday and the Ornate Floral and Mermaid Print are included. Use code ZY3BU for 30% off. I also like the Beaded Tippi but my store didn’t have it when I was there last week. Are you shopping this sweater promo or waiting for an “all-item” promo? Of course, with my new training regimen, I HAD to get new shoes. I had a random email telling me about 25% off the clearance section at Nike. I clicked on through and found so many shoes it was hard to narrow the choices down. 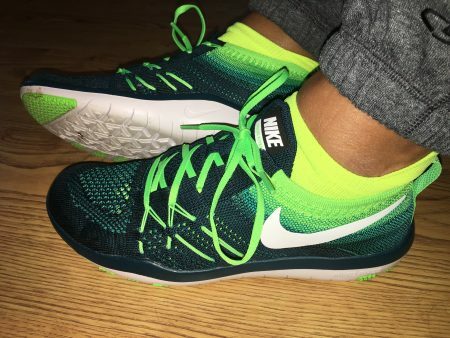 Eventually, I ended up with the Free TR Focus Flyknit in Midnight Turquoise/Electric Green/White. I ordered my normal size, though suggestions said to size up a half size. The shoe Gods must have been watching me because my order was cancelled. My size had sold out. I quickly ordered another pair, this time half a size up in 7 1/2. 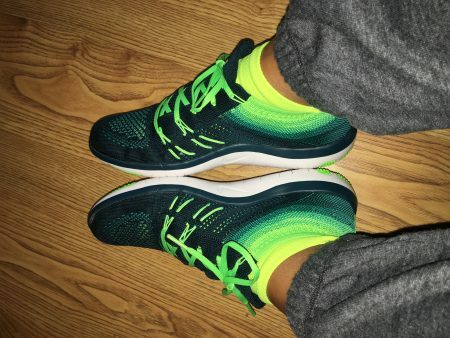 That was the right size and great fit, especially since some of my athletic socks are little thicker. And these ladies make an entrance. Wow are they green! I also realized a lot of my workout clothes, particularly sports bras, did not fit. I went to Target and found the Champion line to be really reasonable and fit well. I loved the vent Tee as it has a zip pocket on the right side big enough to fit my keys or gym card in. I also prefer longer tanks with support and this Fitted Tank Top fits well in my normal size Medium. 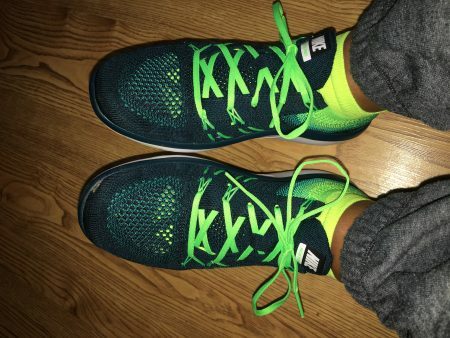 And whether or not you exercise I highly recommend these cozy joggers. I don’t want to take them off. Everything I’ve purchased from Target so far has held up well in the wash. Also, through tonight, all clothing is 25% off, including activewear. AND…use STYLE10 or STYLE25 to take $10 or $25 off your clothing purchase. STYLE10 must have a purchase over $50 and STYLE25 is $100.  If you are in the store use the Cartwheel app to get those promos. I know there’s a text you can send but I can’t recall what that is. J.Crew has a little promo going on through Sunday. Take 30% off your purchase or 40% off over $200 with code PRESENTS. I made some purchases over Black Friday and then when I returned the Taffeta Skirt in Stewart Plaid. I really wanted this turtleneck. I liked the colors and the over-sized look of it and the neck isn’t all that tight. I took a Small as this is really big. It’s pretty reasonably priced if you can get your shopping cart to $200. That’s not hard for JCAs! 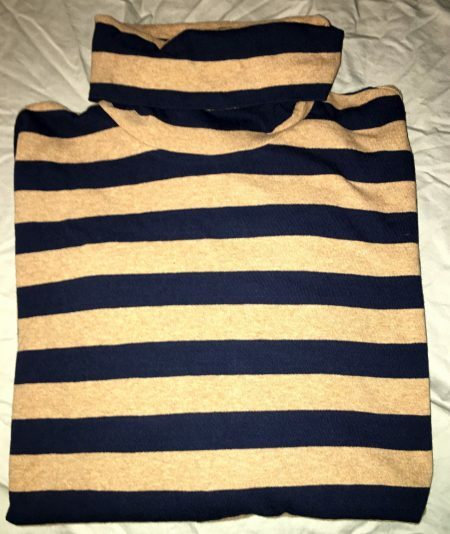 Of course, there’s a similar navy/camel cashmere option. Not that I needed another pair of lounge pants but these looked too cute and cozy to pass up. I have various colored sweaters to wear these with on the weekends or to bed. 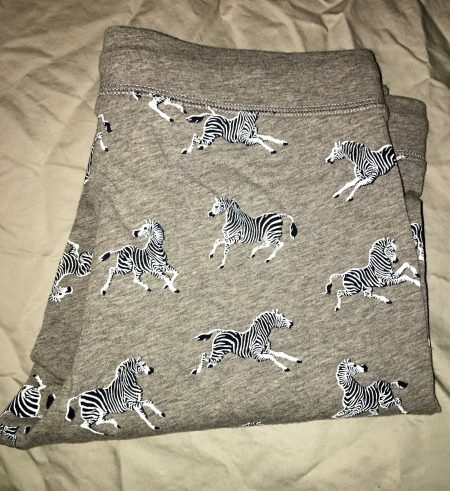 I also bought the striped leggings, in a Small. Those really stretch out so be sure to size down one. And those have a matching top. I bought these during the Black Friday sale and they are also included in the current promo. They are in the men’s section and I absolutely recommend getting these. 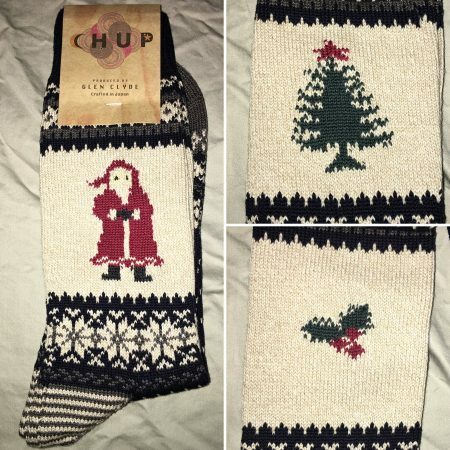 I have last year’s version in red and they kept my feet so cozy and warm. These are actually a gift for MamaBella’s stocking, so shhhhhh. Wow! These shoes are gorgeous. 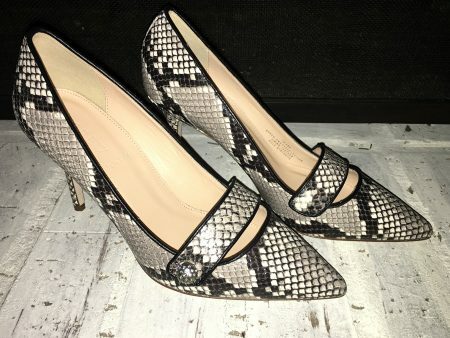 I have other Elsie Pumps, clearly they are some of my favorites, but these are stunning. 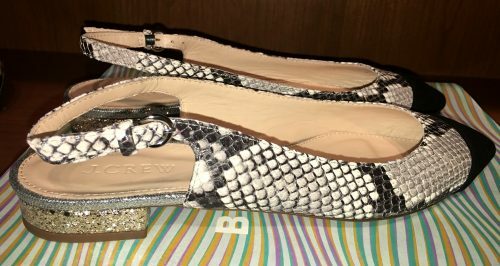 I can take a 6 1/2 or 7 in Elsie and I chose the 7 this time due to the non-adjustable strap in the front, where the pave’ “button” is. I though it would fit a little more snug there with that extra piece, and I was right. 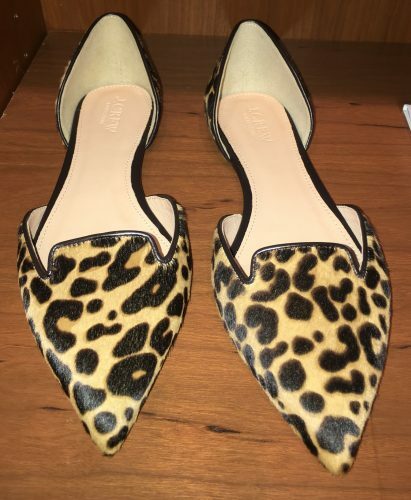 Though there’s a gap at the heel I don’t walk out of these. Unfortunately, these and the Blackwatch heel are sold out online but check the stores. Here are a few more picks. This is a pretty decent promo. I would love to shop for presents but everyone has asked for gift cards. I guess I’ll just have to shop this promo for me! Don’t forget to use Ebates before placing your order. Every little order adds up. I’m not seeing a whole lot of reviews for some of these items online, so if you’re looking at them, here are my thoughts and pics. 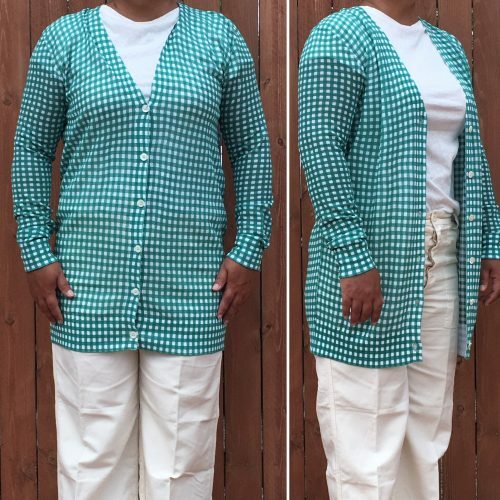 I couldn’t decide between the Tippi Sweater in Blue-Emerald Gingham or this Collection Cardigan. I should have chosen the Tippi sweater. I did not like this cardigan at all. It is over-sized so take a size down from your normal size. But that wasn’t the problem. The gauzy cotton material was…blech! I don’t have a word to describe it but I didn’t like the look or feel of the material. It was gauzy, maybe a little thicker than medical gauze. I think it may have been that this is not 100% Cotton but is blended with nylon. 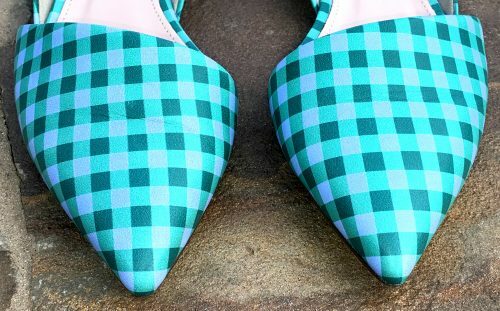 I like the gingham and I like the length but other than that, it was immediately returned. I’ve finally found my real Tippi size, Medium Petite. That size has the arms at 3/4 length and the overall length is a little shorter than the Medium I’ve been wearing. The color is very pretty IRL, with hints of blue/purple throughout. The Tippi Sweater and Tippi Sweater with Ruffles are both 20% off with code NEWCLOTHES. I have been stalking these ever since they showed up on the website. They sold out pretty quick, especially in my size. I wasn’t able to catch them again until they were on sale with a great promo. I haven’t worn them yet but they are really nice pants. 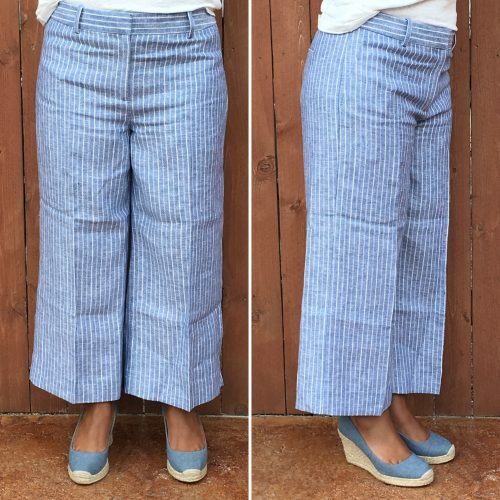 A great linen with an almost chambray stripe look to them. I’m really happy I was able to finally snag them on a pop-back. 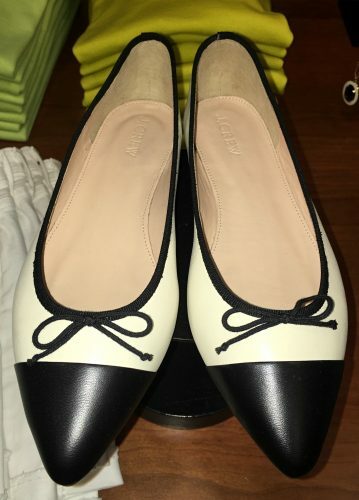 The flats are just adorable. I originally thought they were printed canvas, silk or cotton but they are printed leather. The colors are similar to the Tippi. 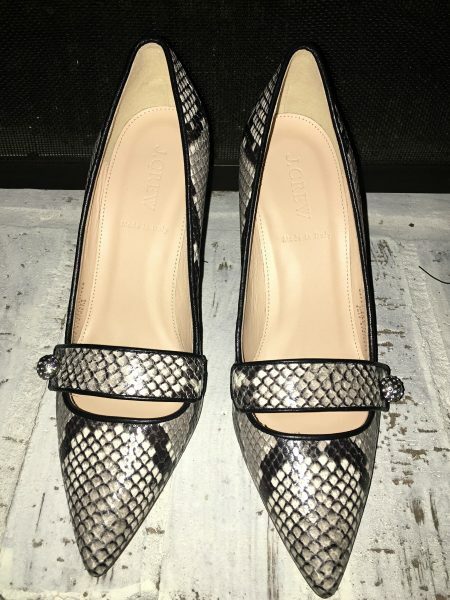 I wear a 6 1/2 in the Sloan and these are no different in sizing, even with the all leather outer and inner lining. They did crease almost immediately, just from trying them on and walking around for a short time. I always put the little tissue back after wearing my shoes to smooth things like that out. 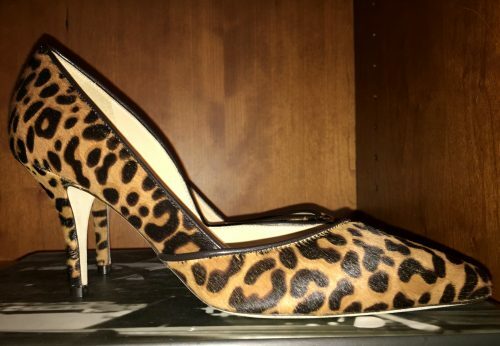 If you prefer, there’s also the heel. I really debated whether or not to get these fun looking shoes. I was very leery about the ankle strap and how to get them to stay tied without cutting off circulation to my feet. I’m so glad I decided to order them. They are really fun sandals and the colors all pop. The size 7 was perfect, making these TTS. I tied them with a bow slightly to the side and love the way it looks. Even though I have plenty of white bottoms to wear with these, I’m looking at a few white dresses to wear with them too. Here are a few 40-60% off sale picks with code NEWCLOTHES. I think I am pretty much done with shopping Spring and Summer sale items. What about you? 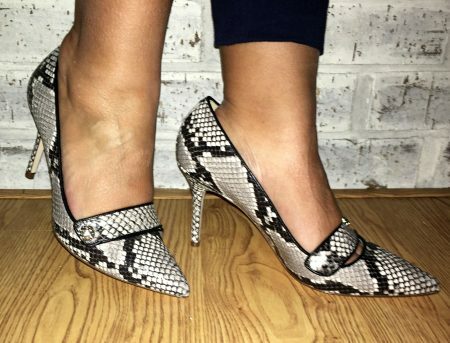 Some shoes to peruse for your Sunday Shopping today. 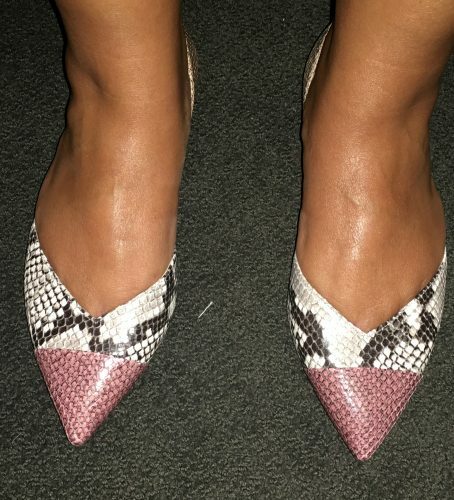 I was eyeing both these snakeskin flats and the Elsie pump. 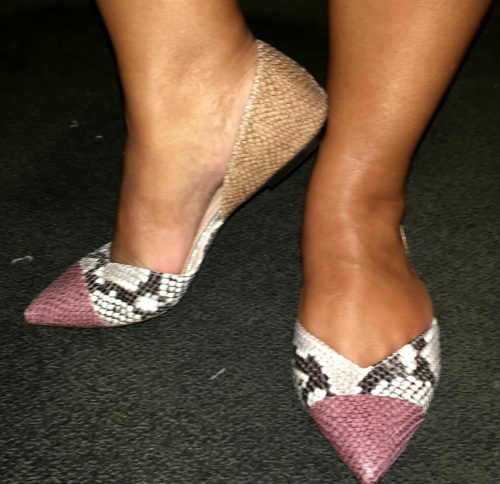 I like that the traditional snakeskin colors are broken up with contrasting colors at the heel and toe. These are TTS with my normal size 7 fitting well. 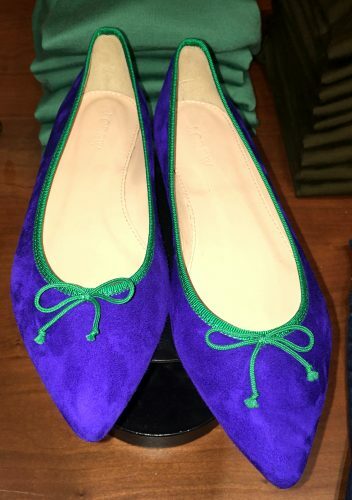 Here are a few other shoes I found in-store. 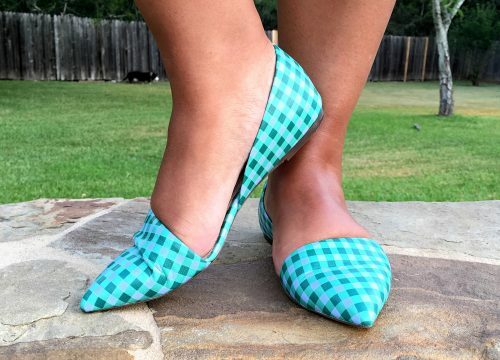 I like these but even though I haven’t seen them IRL, I want the Kiki Cap-Toe Flats. 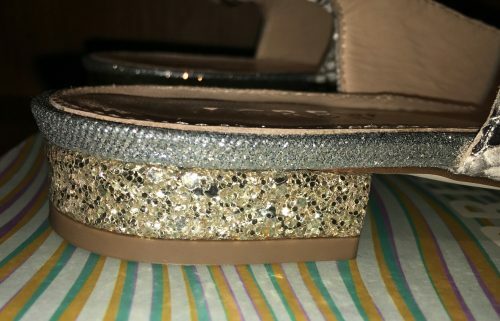 Check out the gold glitter heel on these. 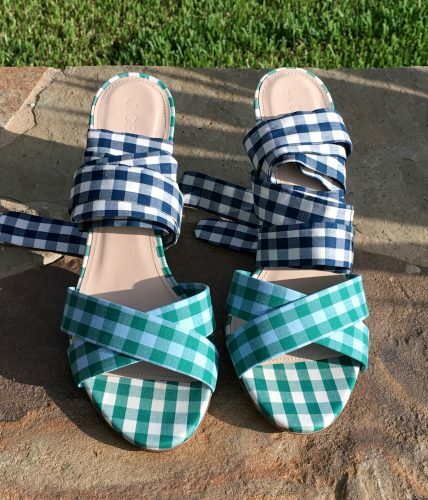 Have you tried any of the new shoes at J.Crew?